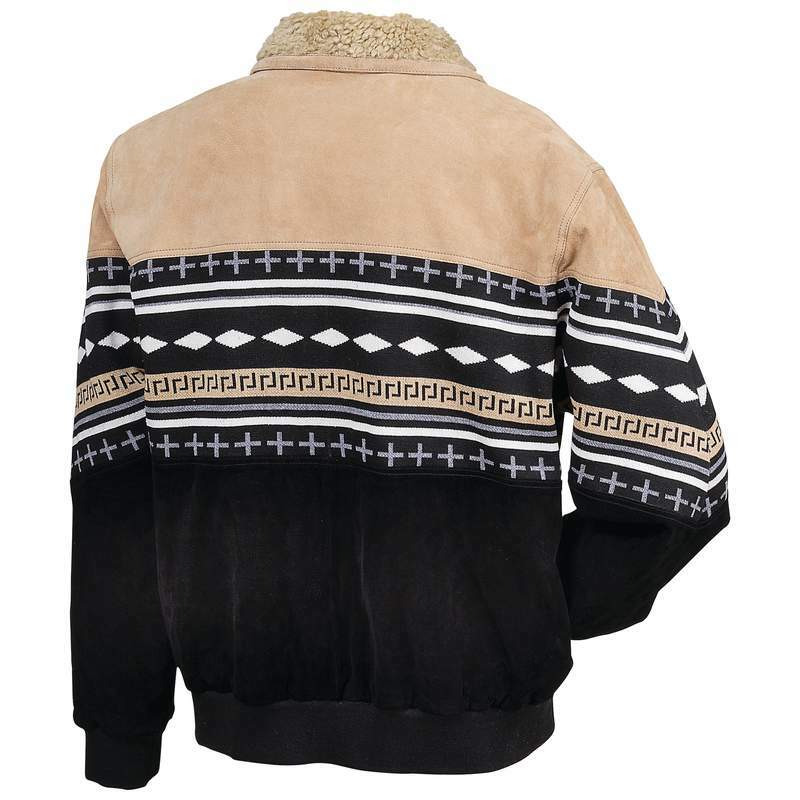 Casual Outfitters� Solid Genuine Suede Leather Jacket. 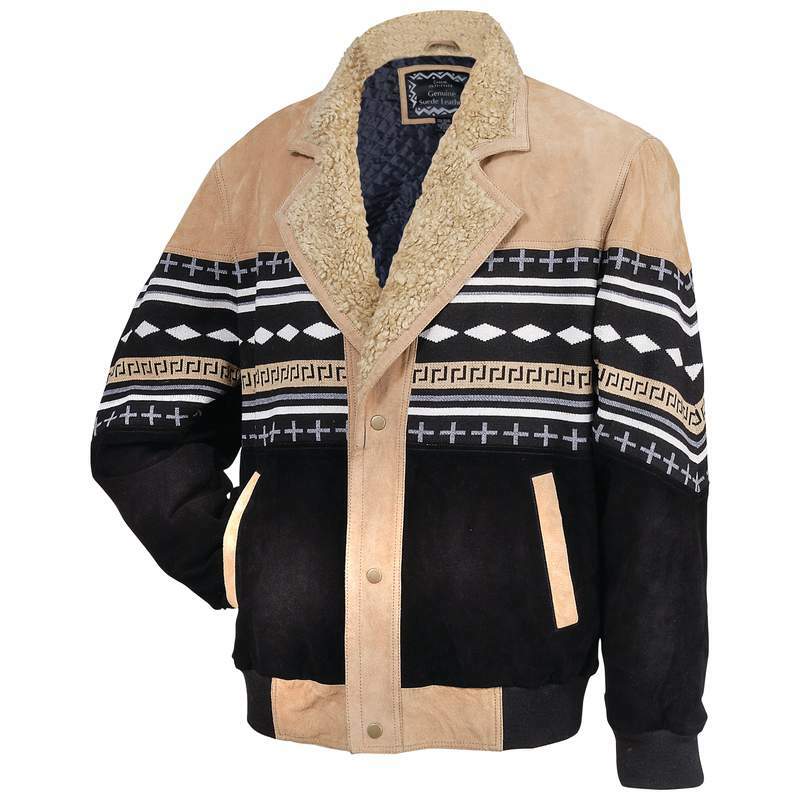 A distinct southwestern flair enhances the look of this jacket. Features snap closure, elastic wrists and waist, slash pockets and a 100% polyester quilted lining. It also has faux sheepskin on the collar and lapels.